Last week, Donald Trump announced his decision to withdraw his country from the Paris Agreement. This follows previous announcements on reducing US support to development. These decisions are deeply worrying – but must not distract us from the immense task ahead, writes Neven Mimica. 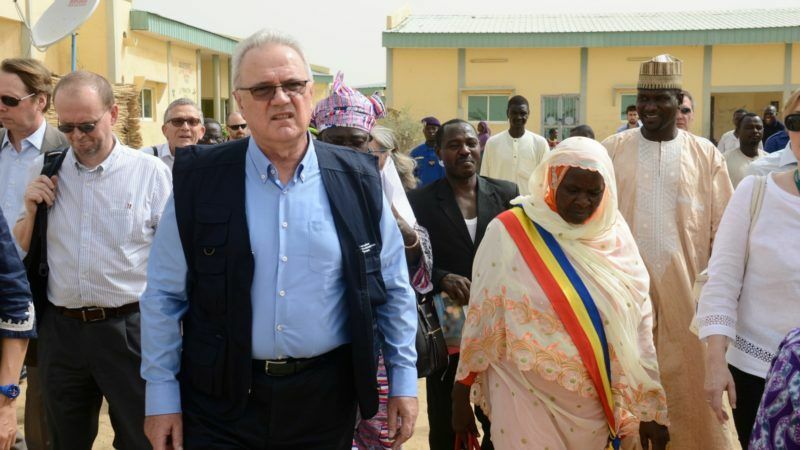 Neven Mimica is European Commissioner for International Cooperation and Development. When global challenges rise, we need to rise to the challenge. At a milestone moment for multilateralism, the United Nations adopted in 2015 a set of universal Sustainable Development Goals to respond to these challenges – applying for the first time to all countries. The 2030 Agenda for Sustainable Development, together with the Paris Agreement on Climate Change, provide us with the most ambitious, most comprehensive framework ever, to set our planet firmly on the course of sustainable development and to eradicate poverty, in all its forms, within our generation. These agreements represent a great achievement for humanity. One that cannot be taken for granted. Last week, the president of the United States announced his decision to withdraw his country from the Paris Agreement. This follows previous announcements on reducing US support to development, including on the crucial issue of supporting reproductive health in developing countries. These decisions are deeply worrying – but must not distract us from the immense task ahead. For the European Union and its member states, these international commitments are irrevocable. And turning them into reality is not a far-off promise, it is an imperative urgency. This is why we have taken action together to reform the way we cooperate with developing countries, and fully align it with the new global goals. On 7 June 2016 a new European Consensus on Development has to be signed by the Presidents of the European Commission and of the European Parliament, and by all of our member states, henceforth framing all our development activities at European and national level. The European Union has long been the world’s leading force in development cooperation. Together with our member states, we provide close to 60% of the total assistance going to developing countries – far ahead of any other donor. Just as an example, in the last decade alone, thanks to EU development support, over 74 million people gained access to drinking water, and almost 14 million more boys and girls have been able to go to primary school. Reforming a policy as well-established as this takes a great deal of political courage. We set out do to this, recognising that our approach to development cannot remain the same, when the world around us is changing so profoundly. The challenges we face are today more complex, more interconnected, more global than ever before: from climate change, to unprecedented refugee and migratory movements, to rising inequalities and changing patterns of poverty affecting countries at all stages of development. Under this new Consensus, we change our approach, by concentrating not only on each of the traditional sectors of cooperation individually but on the big picture – with actions that systematically integrate the social, economic and environmental aspects of development. Think about it: how could we focus on the health sector, without factoring in gender equality and promoting women’s reproductive health and rights? How could we promote Africa’s electrification, if we cannot make sure that energy comes from renewable sources? How could we help build new schools and infrastructure, in areas where war still costs lives and puts any development achievements constantly under threat? These issues are all interconnected and so will be our actions to address them. Under the new European Consensus, we put particular emphasis on important cross-cutting elements, such as gender equality, youth, sustainable energy and climate action, investment, migration and mobility. Actions in each of these areas can have a huge transformative impact across the board. Putting an end to poverty around the world is and will remain the primary objective of our development policy. But to get there, we have to strengthen the links to other policies, including those on peace and security, humanitarian aid, migration and climate, and make sure they take account of developmental concerns. Together, all EU institutions and all member states have committed to cooperate and coordinate even more closely. We want to maximise our impact, effectiveness and visibility. Starting, for example, with the joint programming of our development assistance. If we look at all the sectors and activities that we want to support in a partner country, and one EU member state is better at supporting sustainable agriculture, while another has extensive expertise in improving the education sector, and the assistance from EU institutions focuses on enhancing good governance – why not design our work from the outset according to our respective comparative advantages, to avoid overlaps and maximise synergies? Wherever possible, we will look for opportunities to pool resources and reduce administrative burdens, allowing for quicker and more flexible decision-making and implementation. The EU Trust Fund for Africa is a characteristic example. In record time after its establishment, it has allocated €59 million to support peace, stability and job creation in the Horn of Africa, with the first projects already helping to address urgent needs. These are just some of many possibilities, but we are determined to make the most of our joint resources. This brings me to another important issue: resources. To move from the billions we invest currently, to the trillions needed to achieve true sustainable development worldwide, we need to find new ways of financing and encourage all partners to take responsibility, including private stakeholders and partner countries. While traditional development assistance remains crucial, under the new Consensus, we will combine it with other resources. We will continue to support our partners in their own revenue and tax collection, promoting best practice, technical assistance and knowledge sharing. Effective taxation in our partner countries is essential to relieve poverty, deliver crucial public services and enable re-investments in development.